First African American female Administrator of the Thirty-Second Precinct Home Relief Bureau (1934). 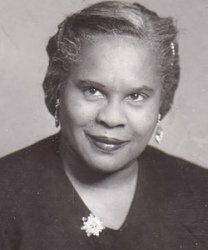 First African American woman to serve as Director of New York City\'s Administrative Division, Department of Welfare (1940 - 1942). First African American woman elected to the Norfolk, Virginia School Board (1971 - 1978). She resigned to start the Urban League of Hampton Roads, Virginia.